This is a replacement milepost, sponsored by Eggbridge Marina, and unveiled by Aileen Smith on Sunday 6th March 1983. These details are taken from Page 9 of May 1983 “Grand Trunk” magazine (and confirmed in 2017 by Harry Arnold). 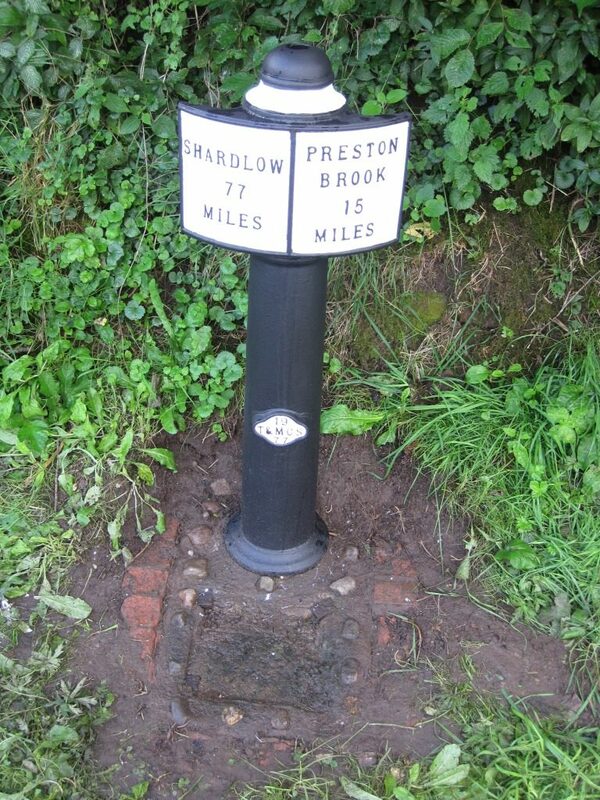 The plaque which was installed when this milepost was replaced, has been missing for over 10 years. In 2017, as part of the celebration of the 40th Anniversary of the Mileposts Campaign (see separate page) the society decided to try and find the original wording from Harry Arnold’s photographic archive and then commission a replacement plaque. The plinth where the plaque was originally located can be clearly seen below, surrounded by a row of well-worn bricks.